Compatible Syringes These compression fittings are compatible with small hub removable needle syringes (2.5 -100 uL). 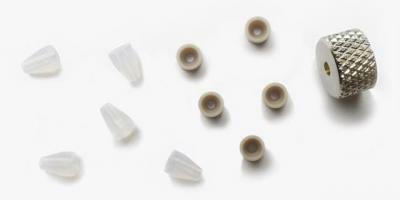 Consists of one large bore RN nut, 5 PFA ferrules, and 5 PEEK cup ferrules. Наименование: RN Compression Fitting 1/16 inch / RN COMPRESSION FITTING 1/16.